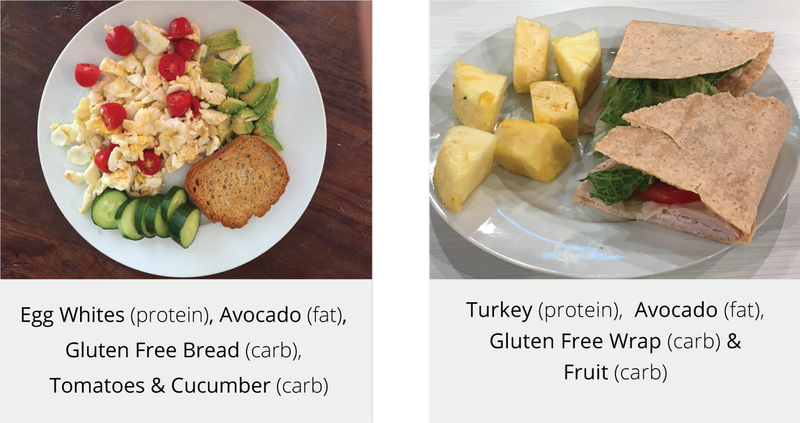 You’ll start every game strong because you’ll know how to eat a high quality pre-match meal, but with every step, sprint or jump, you’ll quickly utilize that pre-match fuel. This all leads to an inconsistent performance in your competition. During your competition, simply sip on a protein shake/meal replacement or eat part of or an entire protein bar. I also listed a few brands of my favorite ones on the market because of their quality. The powder needs at least 20 grams of protein per serving. There must be more protein in the powder than carbs and fat. The protein source needs to be or a combo of: whey (hydrolyzed, isolate, or concentrate), micellar casein, egg white, or plant based and not contain soy protein. It can have trace amounts of soy in the form of soy lecithin, which has very little soy and is a binder in shakes. Avoid soy protein, it’s a cheaper type of protein, difficult to digest and has a lower amount of nitrogen per gram than the other recommended types of protein powders. In addition, most soy is GMO based (genetically modified). The powder needs to be gluten-free. The powder needs to be low in sugar and use a natural sweetener (like stevia). 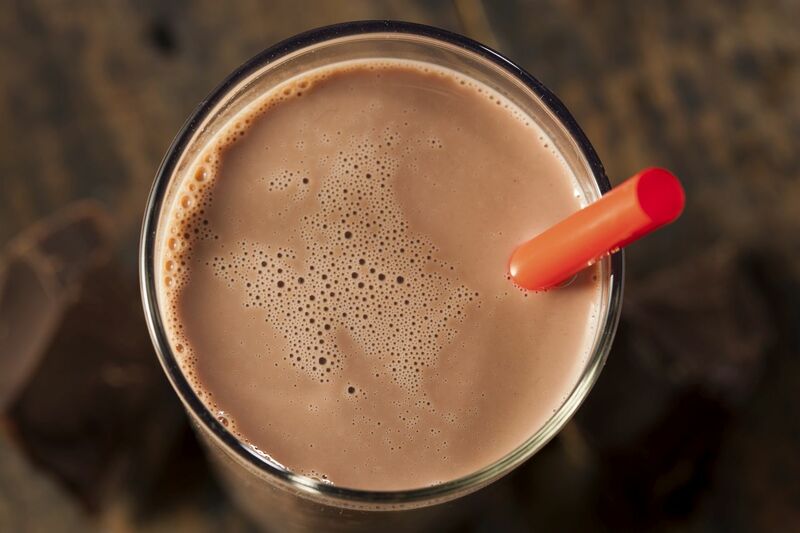 These protein shake recommendations can be found at your local supplement store, health facility, or online. You can use any shake you prefer, just make sure it’s high quality and passes the guidelines above. Zen Fuze Protein Shake – made by Jeunesse Global, made with Truecelle (ultra-high quality version of micellar casein) and whey protein, all-natural ingredients, gluten free and flavored with stevia, Zen Fuze can also be used as a meal replacement shake. 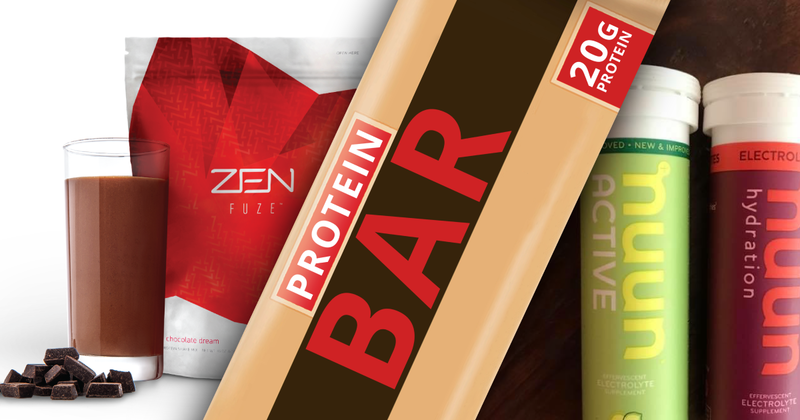 My #1 recommended protein shake is Zen Fuze, it’s a shake I helped create and its exclusive protein blend of whey protein and micellar casein helps balance your blood sugar levels and powerfully fuel your body. Plus, the combination of fiber and probiotics help optimize your digestive system on and off the court. This shake is next generation protein development and quickly becoming the number one protein shake and meal replacement throughout the world. Protein Bars are super convenient, the only problem is they are much more processed than protein powder/shakes. This is why you should only eat one bar maximum per day and use them when time is tight or as your during competition fuel. Now just like with protein powders, there are a ton of options when choosing a bar, so here are your guidelines to ensure you choose a good quality protein bar. It’s similar to the guidelines I shared about protein powders. Each bar has different flavors, so choose the flavor you prefer. 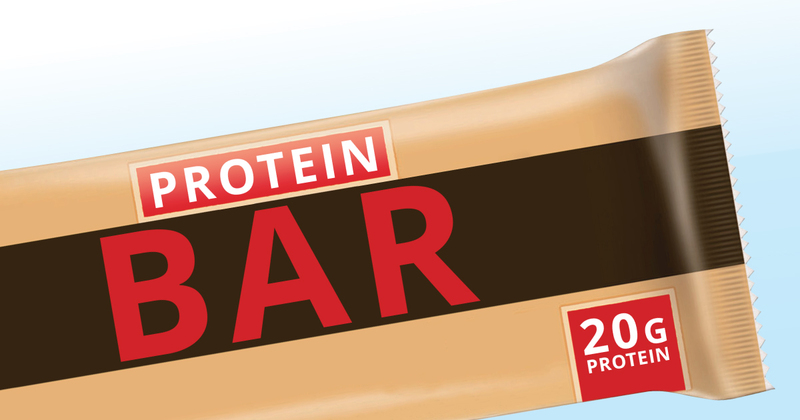 The protein in the bar needs to be within a five gram range of the total carbs. For example, if the food label shows twenty grams of carbohydrates, you can eat a bar that has anywhere between fifteen and twenty-five grams of protein. Staying within this five-gram range ensures the bar will be correctly balanced. If the bar has more than five grams more carbs than protein, do not eat it, because it will most likely spike your blood sugar. The protein source needs to be either whey (hydrolyzed, isolate, or concentrate), micellar casein, egg white, or plant based and must not contain soy protein. It can have trace amounts of soy in the form of soy lecithin, which has very little soy and is a binder in most protein products. Avoid soy protein, it’s a cheaper type of protein and has a lower amount of nitrogen per gram than the other recommended types of protein bars. In addition, most soy is GMO based (genetically modified). The bar should to be gluten-free. The bar needs to be low in sugar, preferably high in fiber, and use a natural sweetener (like stevia). Some bars use small amounts of sucralose (fake sugar). If sucralose causes you to experience digestive challenges, avoid it. One last thing I want to quickly cover is electrolyte replacement. We all know how much we can sweat during intense activity. This amount of perspiration can lead to an electrolyte imbalance and greatly affect your performance. This is another reason why high sugar drinks and gels are popular. Most of the time your pre, post and during competition meals and water recommendations will provide a solid amount of electrolytes and hydration throughout your competition and training. But there are times you’re pushed to the brink in your sport, these electrolyte recommendations are for those times. Electrolyte tablets and gels (can get online or at sporting goods store): These tablets or gels are zero to low calories and provide a full spectrum of electrolytes to ensure protection. My favorite Electrolyte Tablets are NUUN Tablets. They come in lots of flavors and simply add them to your water. Low Sugar Sport Drinks: Gatorade, PowerAde, Vitamin Water and other brands now offer natural and low sugar recovery drinks that kid athletes love and are loaded with electrolytes. Simply choose the low sugar sport drinks that have less than 12 grams of sugar and are under 50 calories. And, of course, the more natural and dye free, the better. A quick tip is to add these sport drinks to your protein shake, this way you’re getting your competition fuel and electrolytes in your shake. I do this with my Zen Fuze Shake all the time. Or if you’re fueling with a protein bar, you can sip on your low sugar sport drink as you eat the bar. Are you an Athlete looking for the Competitive Edge? If you are a highly competitive kid, teenage or adult athlete I suggest checking out our robust Athlete Program and E-book. 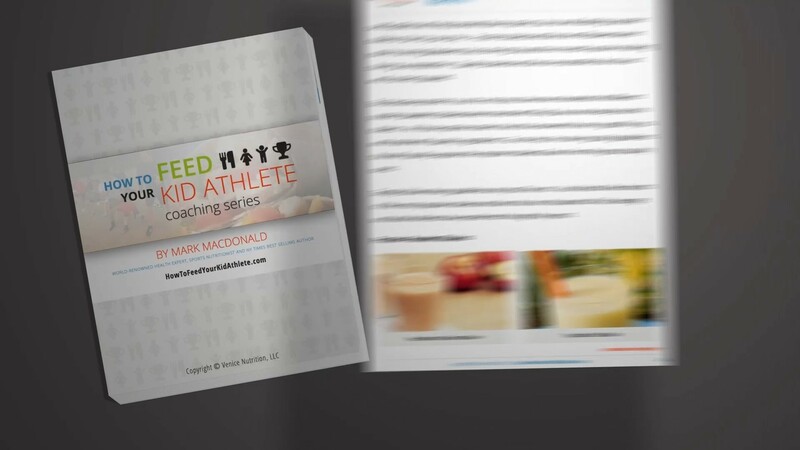 I designed it to help all high-level athletes get the competitive edge and I have helped thousands of world class athletes around the world unlock their fueling potential. The Coaching Series is titled for Kids and Teenagers, but it works amazing for ALL Adult Athletes as well. Watch this video and check out this page if you want to learn more info about our Athlete program. Thank you for being an Awesome part of our community and excited to see your Inner Athlete fuel like a champion!